Every child, big or small, needs something soft to cuddle. Of course, it has become apparent to us that not all softies are created equal so here’s some that sit comfortably at the top of the pile. Australian online retailer Iddy Biddy Boo is the only stockist of a range of handmade children’s softies from local Etsy seller Mookah. There are two things that set these softies apart. The first is their size – with the smallest of the range coming in at about 30cm long, these are toys which make an impact! Their size also means you can really appreciate the quality of the fabrics used in their construction. Secondly, and perhaps most apt for us here in Australia, they feature our own native animals in a new and modern way. 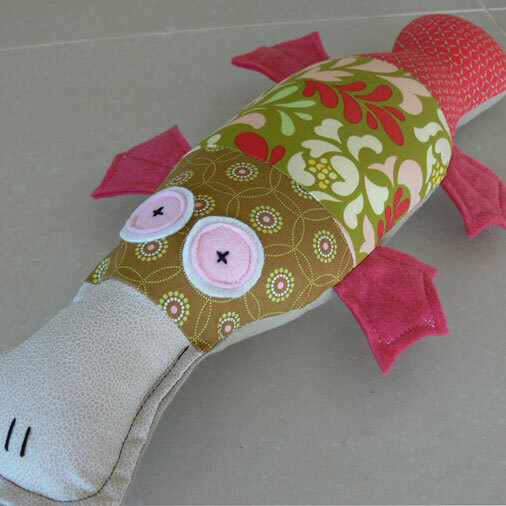 The Iddy Biddy Boo range of Mookah softies includes male and female platypi, an echidna, an owl and even a giant sea turtle inspired by the film Finding Nemo. Most importantly, they don’t look anything like the sort of soft toys you’ll find representing Australia in any local tourist trap! With prices starting at $35, maybe you’ll decide to buy one for a little friend overseas as well!